2018 Individual Income Tax Returns are due. Write-ins refer to additional adjustments to income that are not reported on the federal Form 1040, Schedule 1, but which must be taken into account to determine federal adjusted gross income. On federal Form 1040, Schedule 1, the write-ins must be included on line 36. On the Montana Form 2, you must also include the write-ins adjustments on line 36 of the federal Form 1040, Schedule 1, on page 2. However, you do not have to mark this line with any code if you already marked your federal Form 1040, Schedule 1. 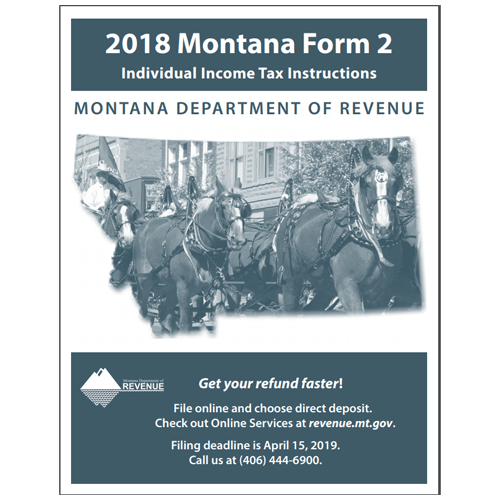 If you are adjusting your gross income by including several write-ins adjustments, or you are married and filing jointly for federal tax purposes and separately for Montana tax purposes, you may include a statement with your return identifying the write-ins or their allocation.